Check your knowledge about factors and divisibility by taking this online test. The test has 10 problems and a time limit of 30 minutes. This test has ten problems to give you plenty of practice with factors and divisibility in this fun math activity. Find the greatest common factor of two whole numbers less than or equal to 100 and the least common multiple of two whole numbers less than or equal to 12. Use the distributive property to express a sum of two whole numbers 1–100 with a common factor as a multiple of a sum of two whole numbers with no common factor. For example, express 36 + 8 as 4 (9 + 2). 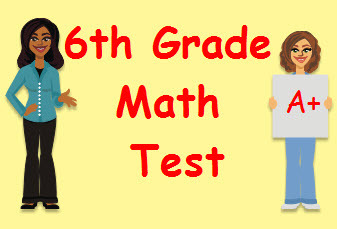 Return from this Factors Math Test to the Middle School Math Tests , 6th Grade Math Tests webpage, or to Math Tests.